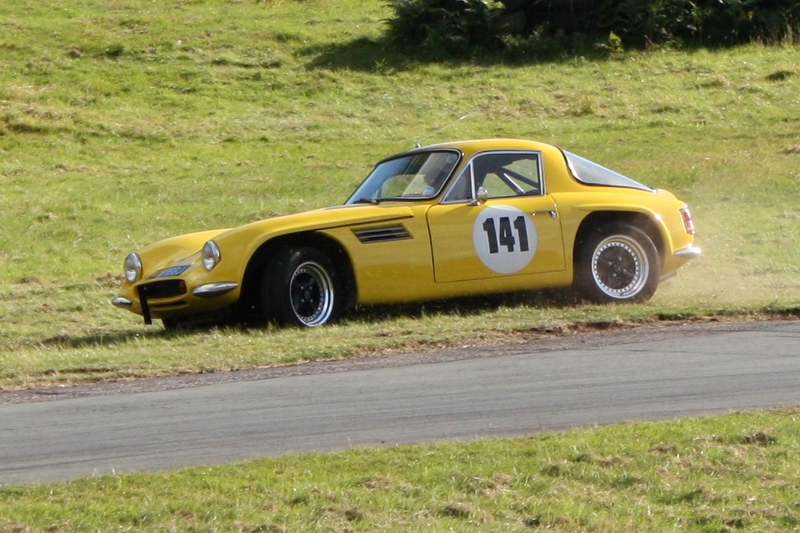 Another great day at Loton! The weather was good all day and the atmosphere was as friendly as ever. After travelling around the country all year chasing HSA points, it felt like coming home. If you read yesterday’s post you’ll know this was supposed to be the day I cracked the 60 second barrier, but again it eluded me. I think I’m driving Mark Dalton and his crew crazy as they’ve been following my endeavours for years and I’ve promised them all a drink when I do it. 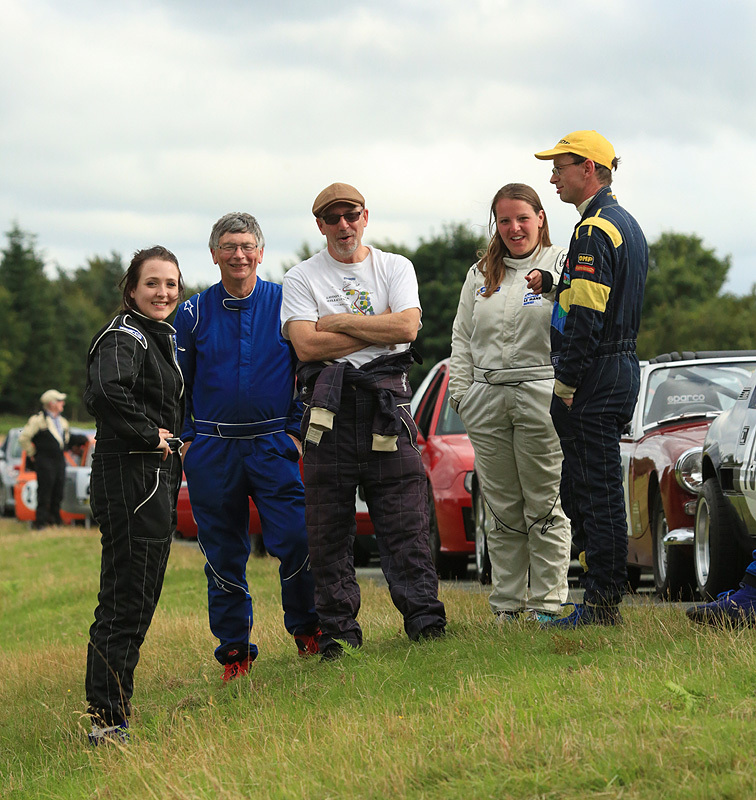 On Saturday I knocked five hundredths of a second off my PB. 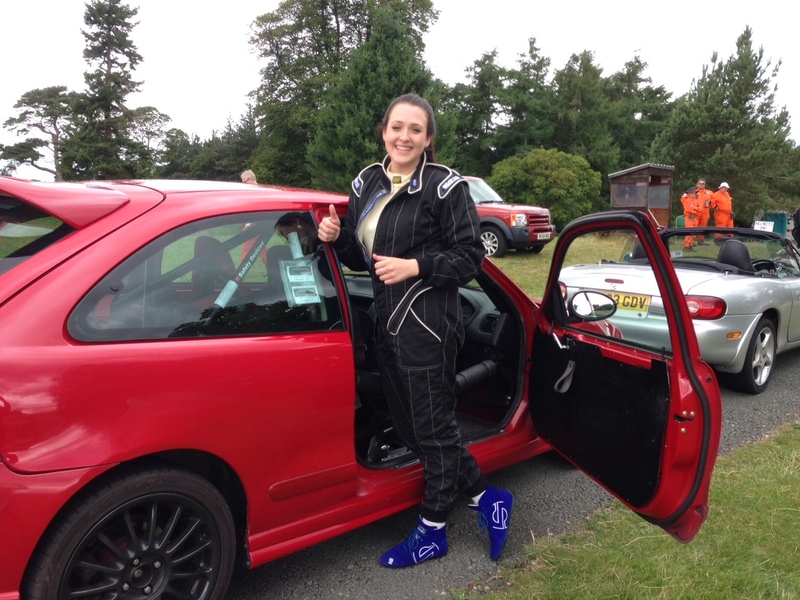 Today I knocked off another 0.34 seconds so I am down to 60.29. There’s nothing for it, I’ll have to go back and try again. 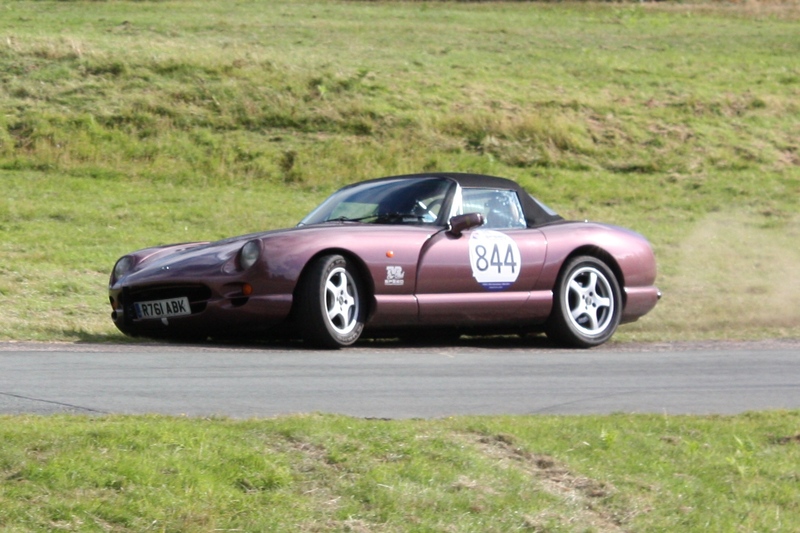 Mark Dalton had an excellent day in his OMS 2000M on Saturday with a PB of 52.30. Today he was three hundredths slower. 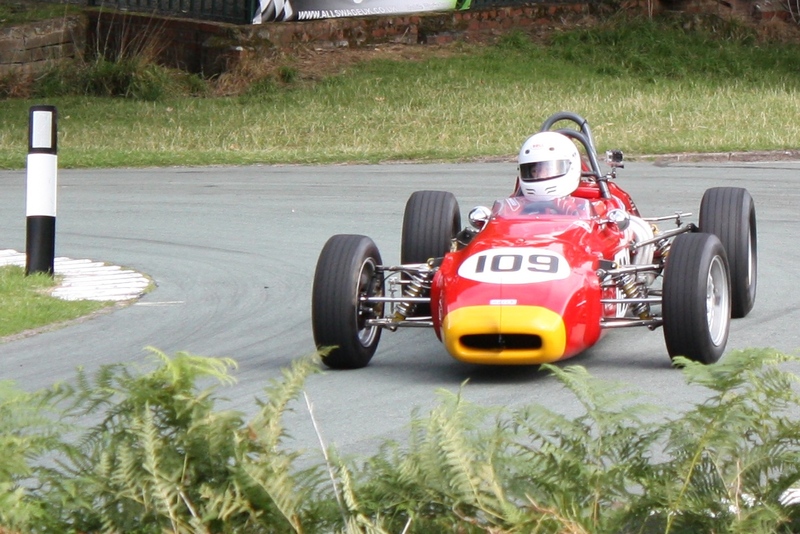 Nick Tart in his March – my old adversary in the Formula Ford class. 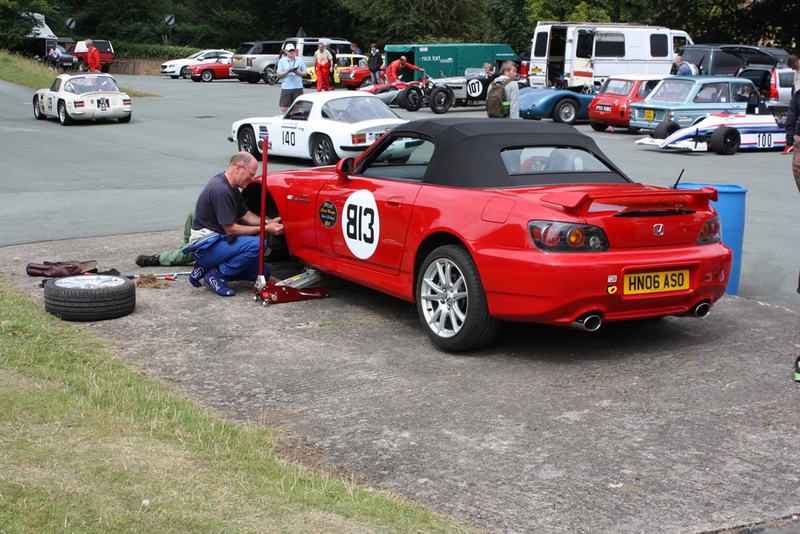 Martin Garner with his MX5. 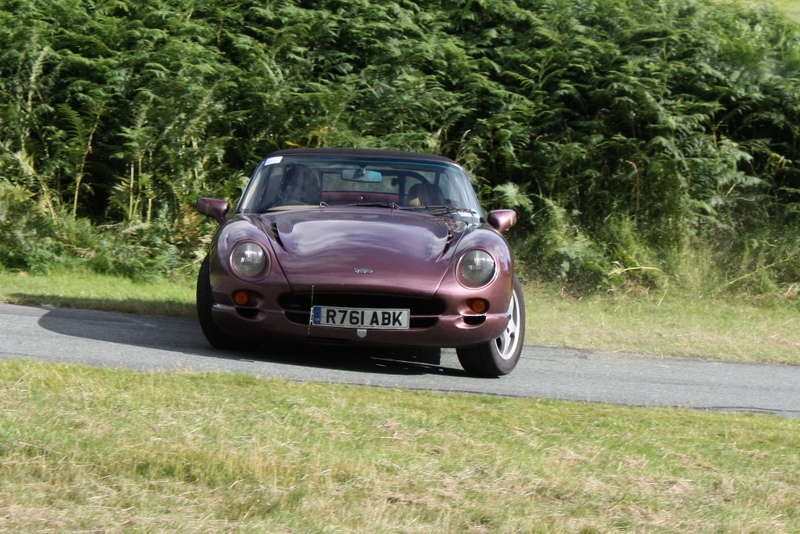 We once double drove a Formula Ford at Blyton. Where are you going, Martin? 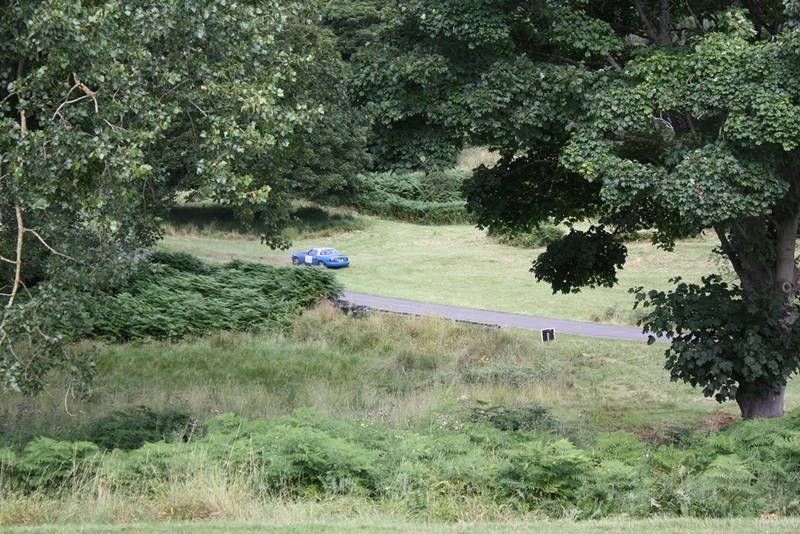 You’re on the grass going the wrong way. You’re supposed to go down to Triangle not up to Fletchers Dellow. Ah! What a difference a day makes! Big smiles all day from Rachel Gascoigne as she steadily improved all weekend to finish with a very impressive PB of 71.04. 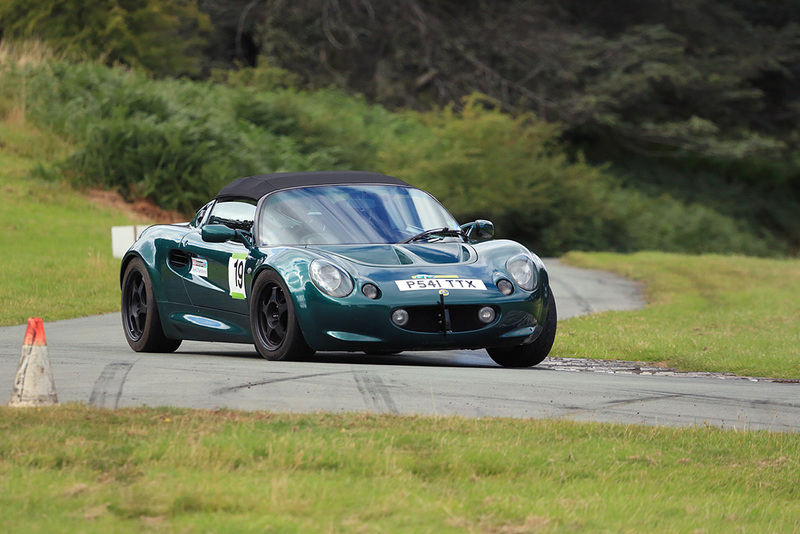 Another nice photo of me in the Elise by Rob MacDonald. Follow him on twitter @RobMacShots. People seem to do this sort of thing in front of me when I wander up the hill. Jo Briars falling off the road after Fallow. And then aiming right at me! Another Rob MacDonald shot. Rachel, Roger Bibby, Me, Ruth Marshall and Martin Rutter at the top of the hill. Neil Hastle also found it difficult to get around Fallow. The times I’ve done that! Not so much in the Elise though. 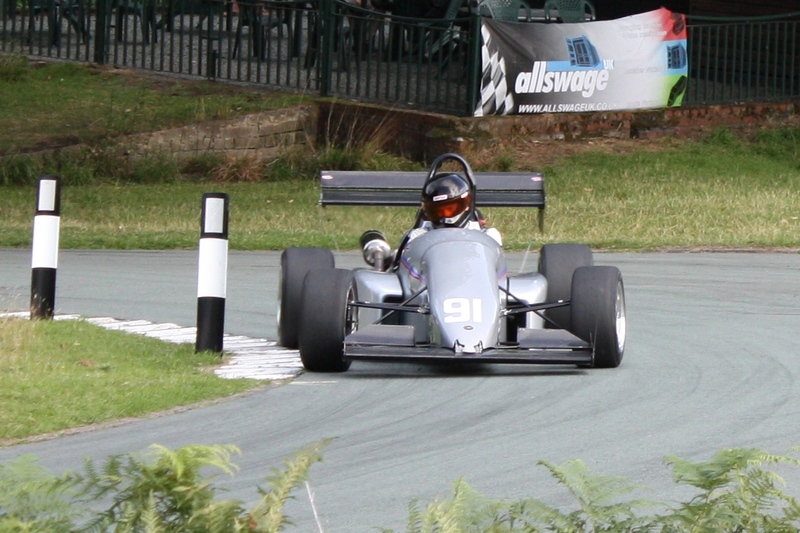 It was the Van Diemen and MX5 I had trouble with. The end of an era. 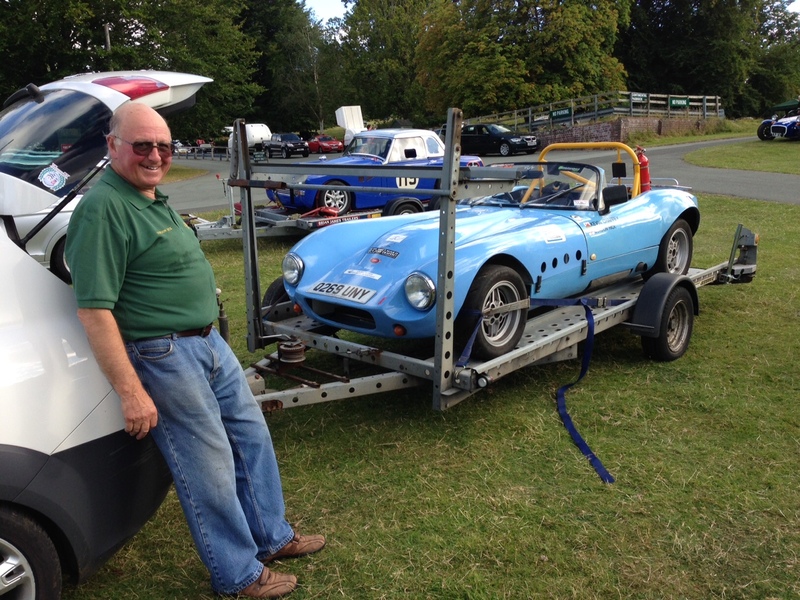 Gordon Hick has just loaded his Fisher Fury Spyder onto the trailer for the last time and it’s up for sale. He’s already sold his Megapin and plans to replace them and the trailer with a tin top he can drive to events (and stay dry in).